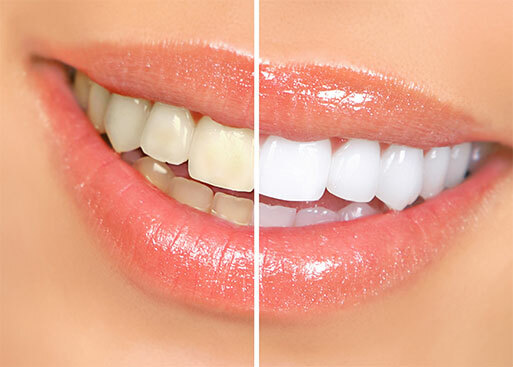 A brighter, whiter smile can be simply and safely achieved using our home whitening system with amazing results. Large, unsightly, silver fillings can be replaced with attractive, tooth-coloured fillings or porcelain inlays. Old crowns can be replaced to match your other teeth with natural looking, metal-free porcelain crowns. Unsightly or mis-shapen teeth can be disguised to blend in with your other teeth using a thin, porcelain veneer. If your teeth are stained or your gums bleed, hygiene visits will give you a healthy fresh confident smile. Missing teeth can be replaced with natural looking dental implants, eliminating the need to wear a denture. If your dentures are fooling no-one, why not take advantage of the newest technology and have comfortable, realistic looking dentures fitted. Teeth that are sensitive to cold can be effectively desensitised. Orthodontics are not just for teenagers. Adult teeth can be straightened to transform your smile. For our more nervous patients. "We offer a teeth whitening service to sort out those discoloured or darker teeth." We are able to accept the following methods of payment. Cash, cheques and most debit/credit cards. We also recommend our monthly Practice Payment Scheme, please ask a member of our team for details. If you have any questions regarding our fees please do not hesitate to ask, as we like to help. These fees are correct at the time of printing but may be subject to change without notice. We like to keep our patients informed about how much their treatment will cost. As everyone has different requirements, we will need to see you first to discuss with you what the treatment options are before we can give you the specific costs. But we know that some people like to have an idea of what to expect before they are seen. With that in mind, we have listed below a few of the more common treatments and fees.